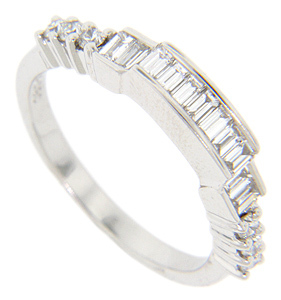 Baguette diamonds are set in the top of this 14K white gold antique style curved wedding band. 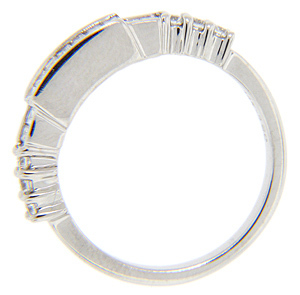 Additional diamonds, round in shape, are set in the shoulders of the ring. The band holds a total of .53 carats of diamonds and measures 4.2mm in width. Size: 6 1/4. We can resize.